Cutest Bungalow ever! 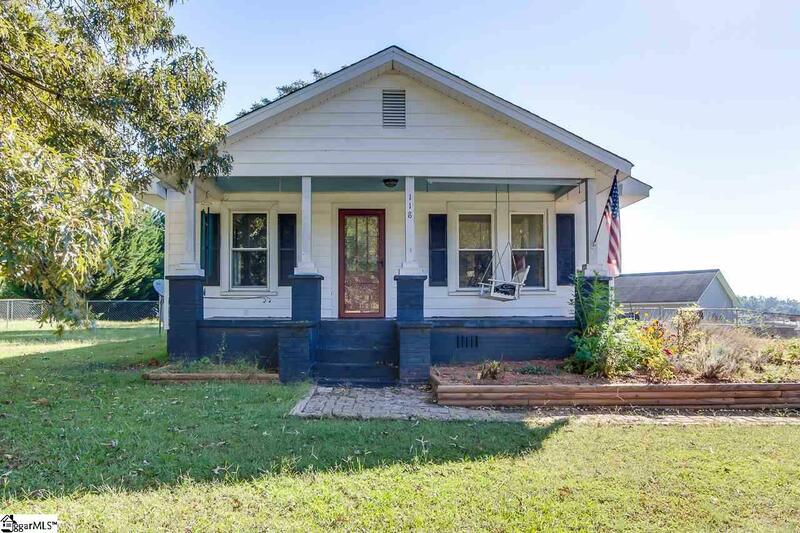 You will love this beauty the minute you pull up and see the rocking chair front porch!! What a great place to hang out with friends!! 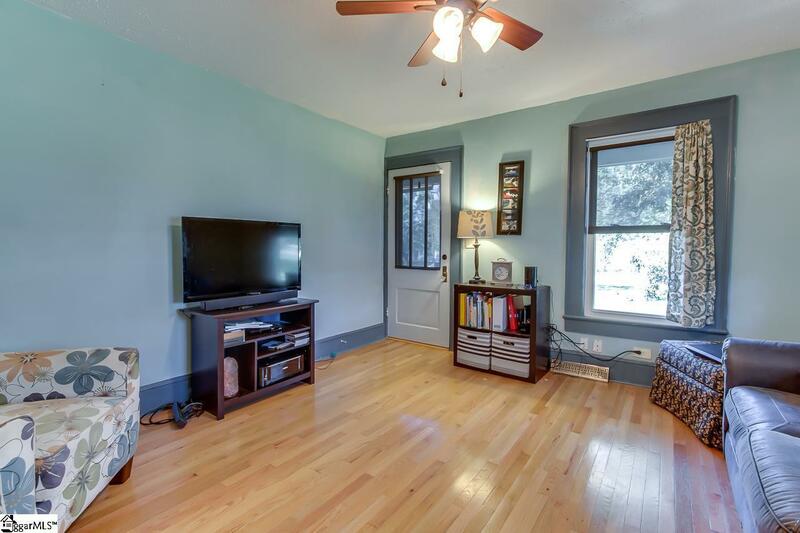 Inside charming features and gleaming hardwoods will not disappoint. 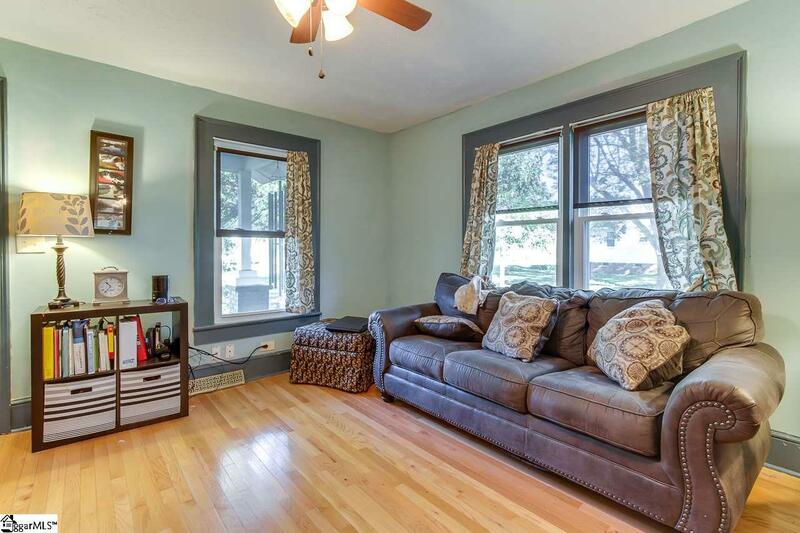 The great room is a good size and features multiple windows and moldings. French doors lead from the great room to the large dining room. The well appointed kitchen features ceramic tile flooring, a peninsula that has ample space for stools, lots of cabinet and counter space, and pantry cabinet. The half bath also hosts the laundry and has a sink and shelves for storage. Both bedrooms are the same size, so you can choose your master. They share the hall full bath which has a tub/shower combination. 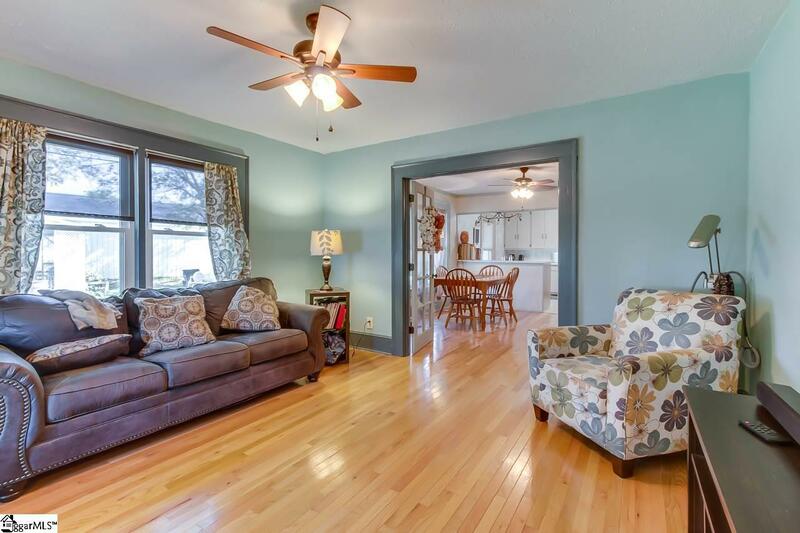 Outside you will enjoy the deck overlooking your large fenced back yard. Store the lawn equipment or make a work shop out of the storage building or detached garage. All updated and ready to move in!! New roof 2016, new windows throughout, new HVAC 2015, tankless water heater 2016, electrical upgraded 2014, insulation blown in ceiling 2016, and an RV electrical hookup. So close to shopping and dining on Wade Hampton Blvd and Greer. Just minutes from 1-85 and Greenville or Spartanburg. You must see this one! Call today!